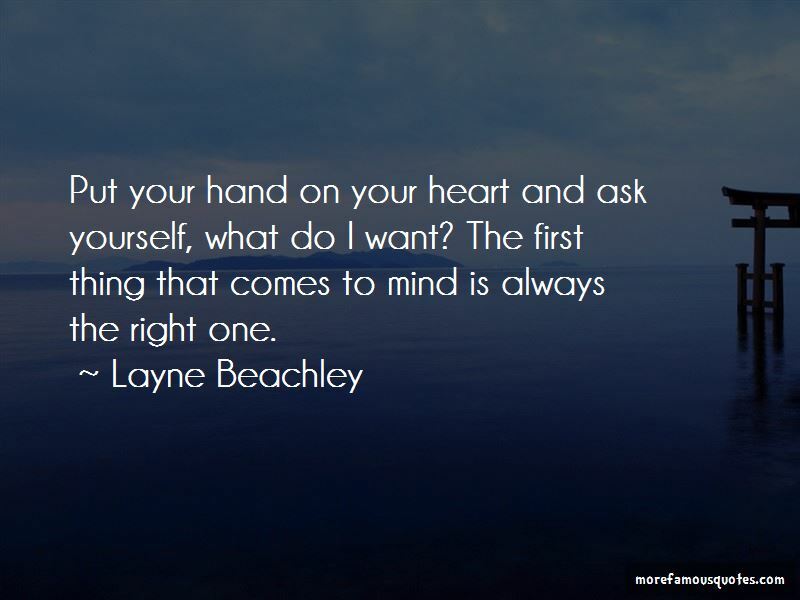 Enjoy the top 7 famous quotes, sayings and quotations by Layne Beachley. Have confidence in yourself and don't let people put you down or make you feel weak or worthless, because the more they put you down, the more you need to get back up and prove how wrong they are. 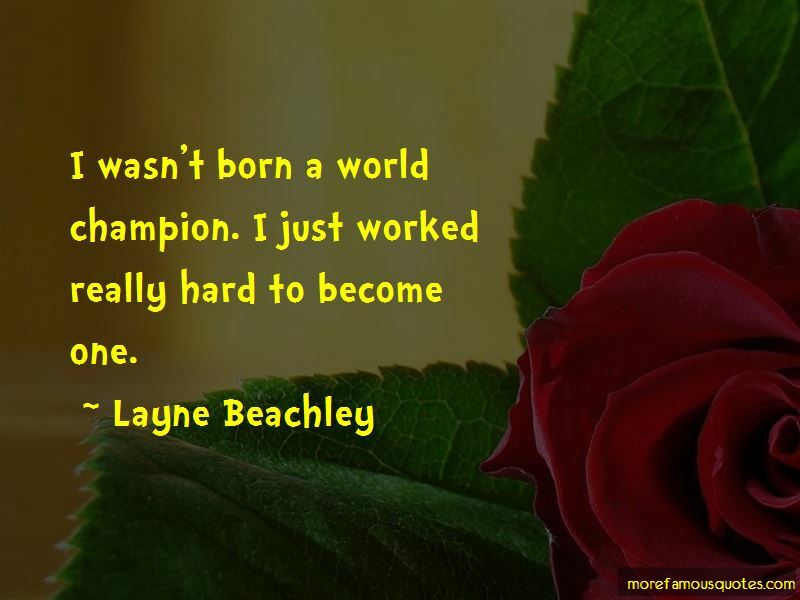 Want to see more pictures of Layne Beachley quotes? 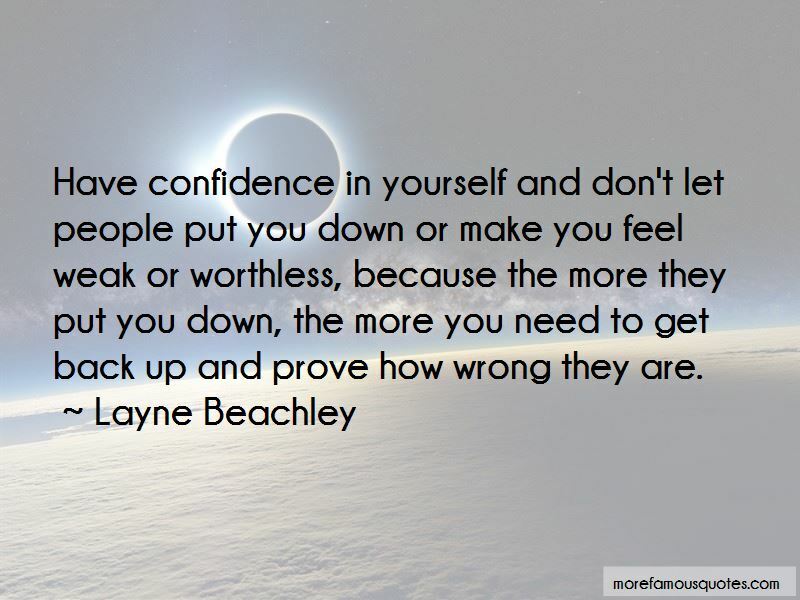 Click on image of Layne Beachley quotes to view full size. “Maybe we shouldnt begin to stop believing in God when He starts to let go of our hand; because at that moment He” — C. JoyBell C.
“The love of your life, is not the person who traps you into themselves; but the love of your life, is the person” — C. JoyBell C.